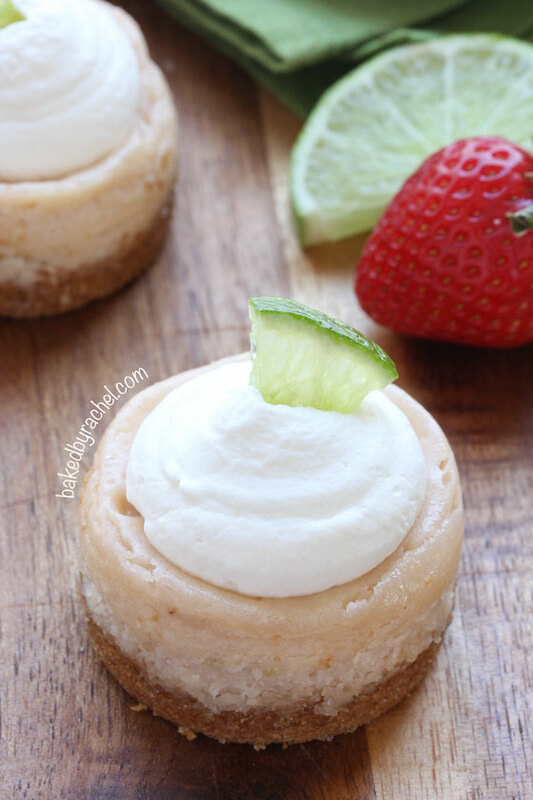 Creamy bite sized strawberry cheesecakes with a hint of lime and a splash of tequila. 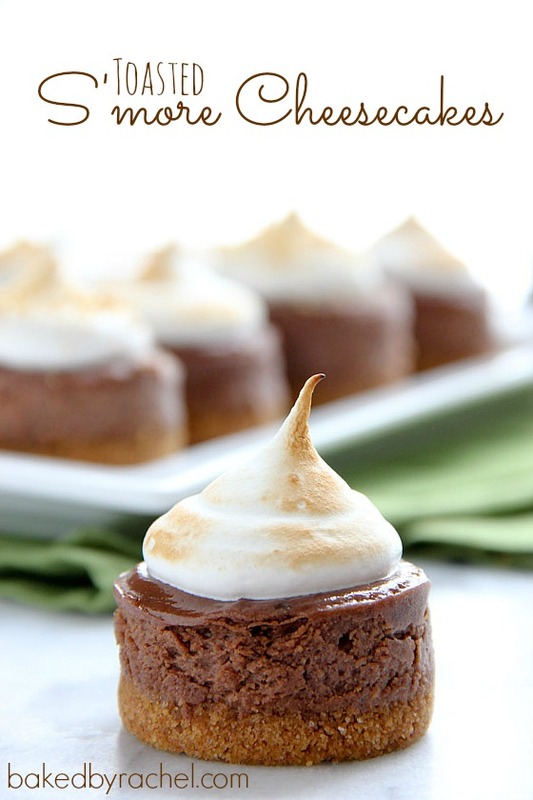 A perfect mini dessert for Cinco De Mayo or any celebration! Over the past few days I planted a bunch of flower seeds with my girls. The first bunch is already starting to sprout, while the others will take a few days since we just planted those yesterday. I love having flowers blooming in the warmer months. Color is fun. I don’t love the bugs or the bees, but the pretty flowers make up for the occasional annoyance. I’ve always had a love for morning glories, going as far back as I can remember. A family friend had them growing around their backyard and I was always fascinated by their twisting and climbing over the fences and arches. I’m growing more morning glories this year than I ever have in the past. I’m hoping for a big and bold display, climbing part of one of our fences. If it works, I’ll be sure to share a photo. Fingers crossed! In the meantime, I’m still dreaming up other possibilities for flowers or even veggies and fruit. I do that every year… think and dream about the options. Maybe this will be the year I finally take that leap. Have you started a garden yet? With strawberry season upon us and Cinco de Mayo around the corner I knew a special treat needed to be whipped up. I really wanted to share a margarita but I didn’t have a single margarita dessert recipe here at that time either. So, I decided to mesh those two ideas together. These mini cheesecakes are the perfect bite sized treat… okay, maybe two bite treat. 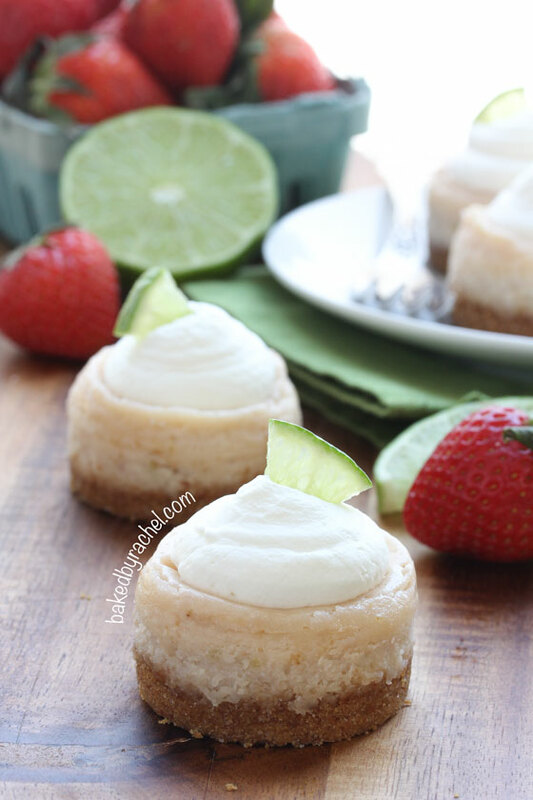 Full of fresh strawberry and lime flavor and a splash of tequila to make them authentic margarita cheesecakes. I didn’t feel right calling them margarita cheesecakes without a little liquor in them! 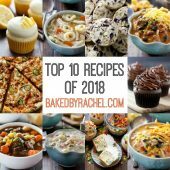 Fear not, there’s hardly any and the actual alcohol bakes away in the oven. Creamy homemade mini strawberry cheesecakes, topped off with fresh sweetened whipped cream and a lime garnish. A fun mini dessert for a special occasion or a Cinco de Mayo party! 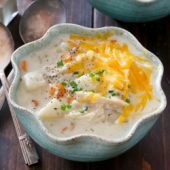 Be sure to add these to your Spring and Summer recipe plans! You’ll be glad you did! 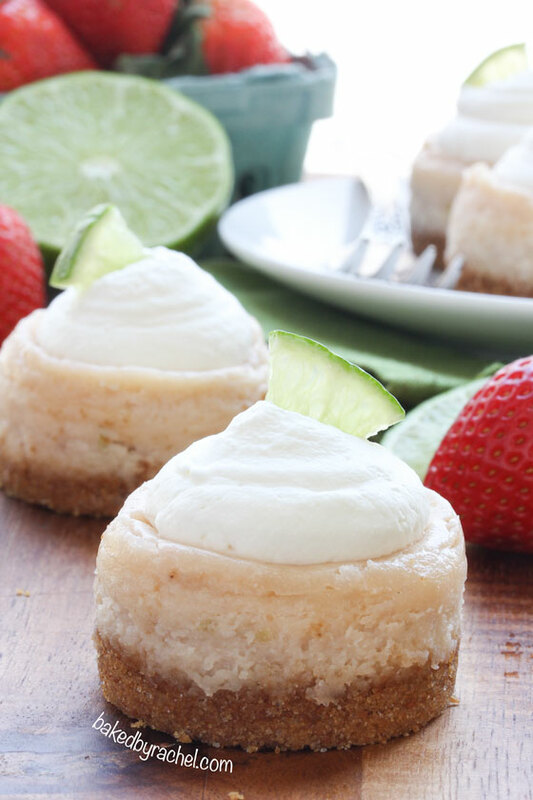 Bite sized strawberry cheesecakes with a hint of lime and a splash of tequila. Perfect for any celebration! Preheat oven to 350°F. Lightly grease a mini cheesecake pan. Set aside. In a large food processor, combine graham cracker crumbs with 1 Tbsp sugar and melted butter. Using a small cookie scoop, divide equally among prepared cheesecake cavities, adding 1 small scoop to each. Press down to create an even layer. Bake for 5 minutes. In a small food processor, puree strawberries with 1 1/2 tsp sugar and 1 tsp lime juice. 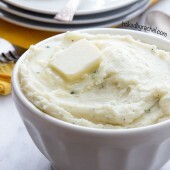 Pour puree through a fine mesh strainer. Press out all liquid and discard solids. Set aside. In the bowl of a stand mixer, beat cream cheese until smooth. Mix in remaining 1/2 cup sugar along with zest from half of one lime. Mix in 3 Tbsp plus 1 tsp strawberry puree, tequila and triple sec. Finally, add egg, beating only until mixture is smooth and no streaks remain. Using a medium cookie scoop, add 1 heaping scoop to each cheesecake pan cavity. Bake at 325°F for 15-18 minutes or until nearly set. Cool in pan to room temperature. Transfer pan to refrigerator to chill thoroughly, at least 6-12 hours or overnight. Carefully remove cheesecakes from pan, removing pan disc from the bottoms of each. In a medium bowl, beat heavy cream with powdered sugar and vanilla until stiff peaks form. Add to a piping bag with desired piping tip. Pipe whipped cream onto chilled cheesecakes, serve with a lime slice and additional strawberries if desired. Serve immediately. Store remaining cheesecakes in the refrigerator. Great two bite treat :) I love the flavors.. This is such a perfect little cheesecake bite. Loving the strawberry addition to these little yummies. so many deliciousness in just one post. I love morning glories too! When I was a kid we used to have them growing up our mailbox. If you like climbing flowers I also love clematis. We also had those growing around a archway we had in our backyard.They have this big colorful flowers and when it all goes into bloom it’s so pretty! Now onto cheesecake :) It It looks heavenly! Love the combo of marg and strawberry…yum! I’ll have to look that flower up. I’m probably set with climbing flowers for this spot but maybe another location! Yum! I’ve never made a boozy dessert before, but these look just tempting enough to be my first try! 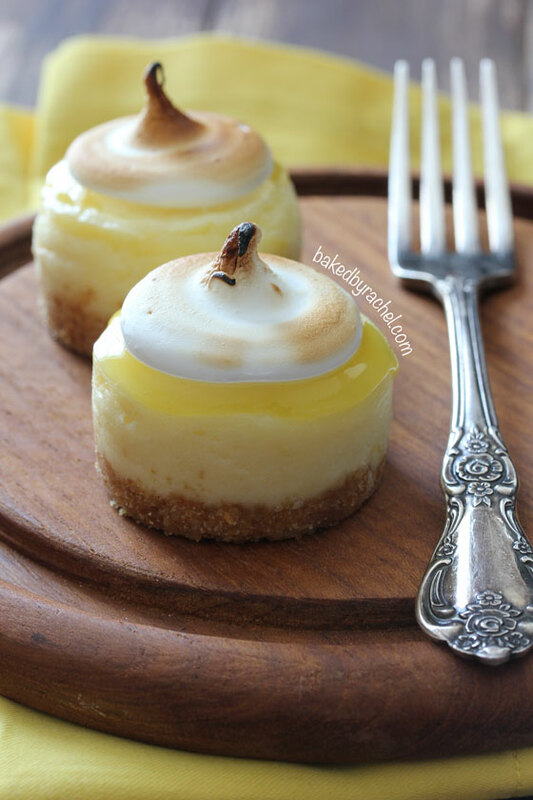 I’m loving all of your other mini cheesecake flavors that you’ve linked to here too! Dying over these! So perfect for cinco de mayo. I love your mini cheesecakes! 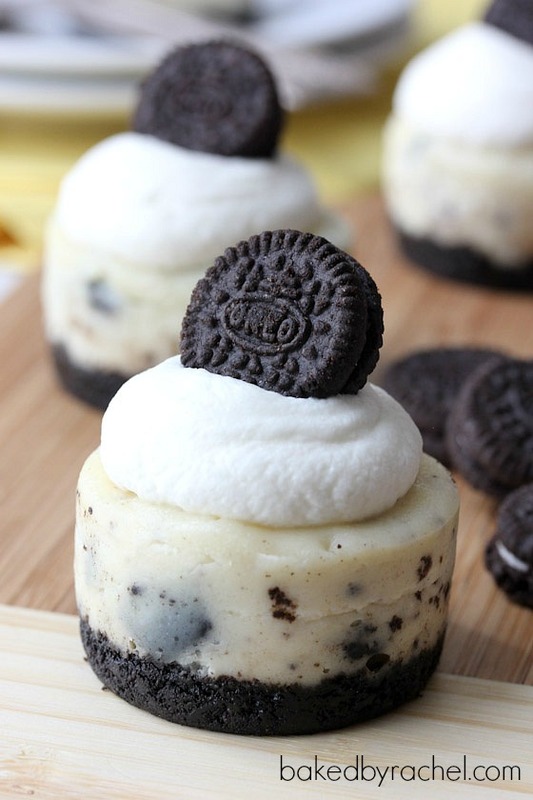 Ugh, you always create the perfect mini cheesecakes! These look perfect! If there’s anything I love more than strawberry margs, it’s cheesecake!!!! Love these, Rachel! I may not be allowed to have a margarita but I can definitely have one of these! Win. Beautiful, Rachel! 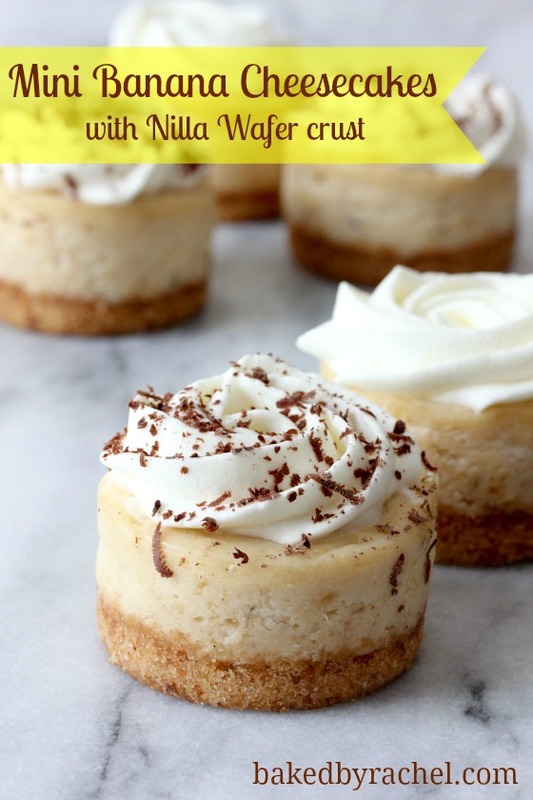 I love all of your mini cheesecakes and these are just perfect for Cinco de Mayo! Thanks for sharing, girl. Pinning (of course)! I love the fact that these have triple sec AND tequila in them! It’s literally a margarita in a cheesecake! Best of both worlds, for sure! Mini cheesecakes are clearly the way to go. Popable creamy bites–nom! Bees scare the bejeezus out of me. Like you, I love flowers, so I suppose there’s no avoiding them. What type of pan are these made in? Cupcake doesn’t seem quite right. 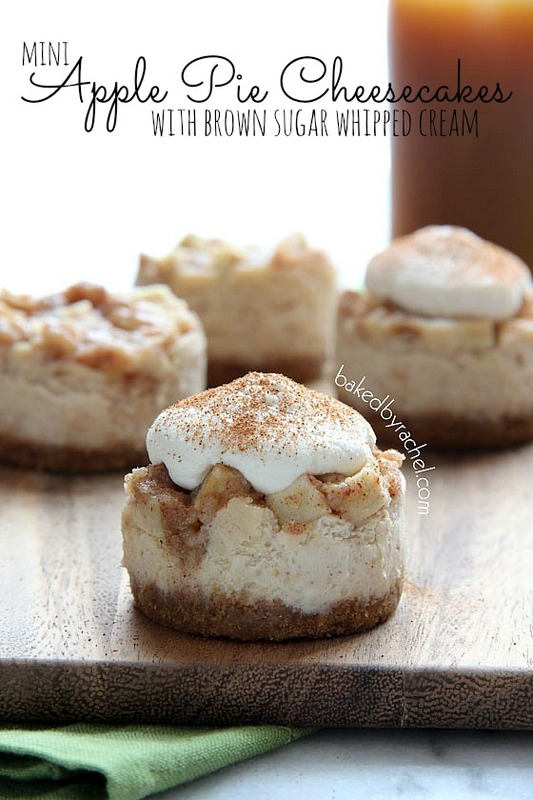 These are made in a mini cheesecake pan. The link to them on Amazon is within the instructions. 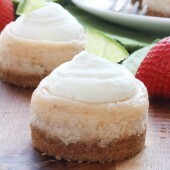 The cheesecake cavities are much smaller than a cupcake tin and have removable bottoms like a standard cheesecake pan. Stumbled upon your site. So excited because I have a natural sourdough starter and I’ve been making an amazing taco pizza! I’m going to try the Strawberry Margarita Cheesecakes as a follow up dessert. Thank you!